The hairstyle style called 360 waves, which is popular among people with extremely curly hair, has the appearance of crests and troughs throughout the hair that encircle the head. It often takes months of brushing your hair for an hour or more each day to get waves, so it can be frustrating when the waves don't form a continuous pattern around your head. Connecting waves is similar to creating waves in that moisturizing, brushing and covering the hair are essential. 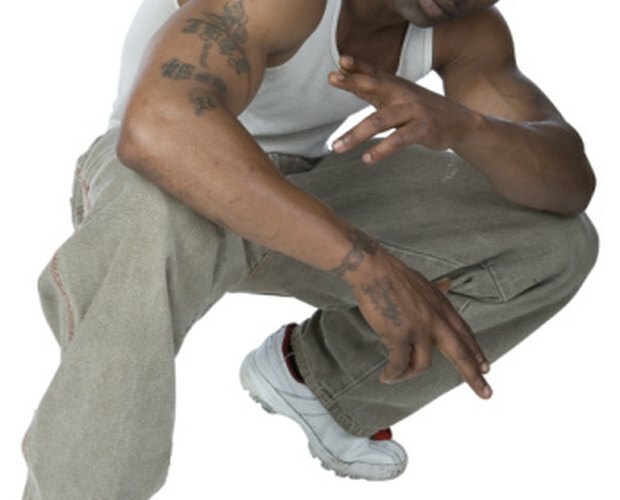 For people who have waves that don't completely surround their heads, connecting the waves will result in the 360 waves hairstyle. Moisturize your hair with a quarter-size dollop of pomade by rubbing it into your hands and slathering it onto your head. Make sure you apply the pomade evenly to all parts of your hair. Brush your hair with a soft-bristled hair brush. The angle at which you brush your hair is the most important step in connecting waves. Brush forward from the crown of your head to the front and brush the back of your head from the crown to your neck. Brush the sides at 45-degree angles from the crown of your head. Repeat this brushing pattern many times throughout the day. 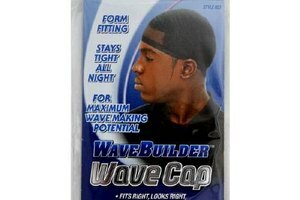 Sleep with a do-rag or a wave cap on your head. For best results, make this a nightly ritual. 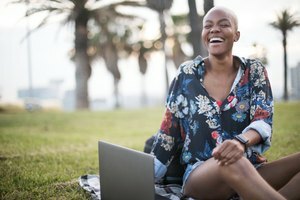 Because everyone has different hair textures, the exact method of connecting waves can vary by person. The process of connecting waves may take months. If a soft-bristled hair brush is not doing the job, try a brush with stiffer bristles. Other hair creams, such as coconut oil, can be used instead of pomade. Use the product you prefer. Pomade can sometimes aggravate the skin and cause acne outbreaks. If pomade aggravates your skin, try a different product. Woodrow Savage has been contributing to daily and weekly newspapers since 2008. He has served as a reporter, copy editor and photographer for publications such as the "Montana Kaimin." Savage is completing his bachelor's degree in journalism at the University of Montana.